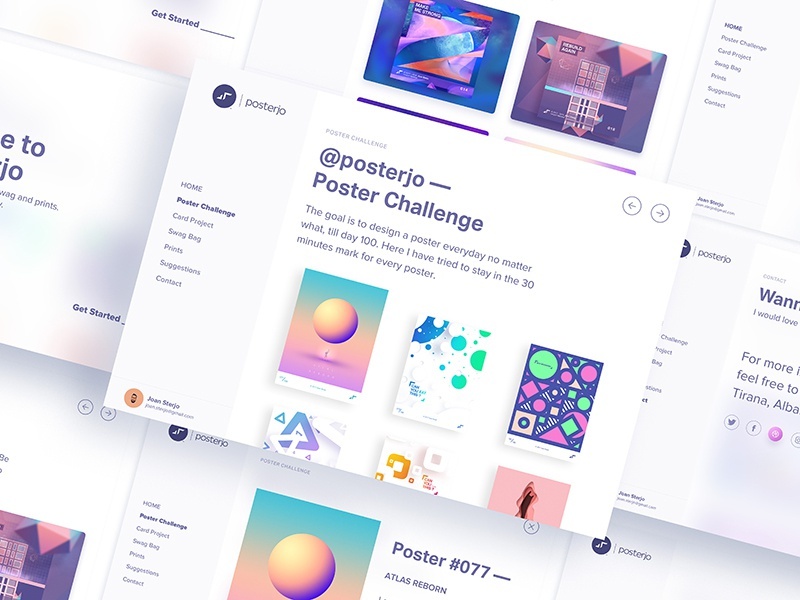 This is the posterjo Website I’m working on. I’m happy to share some of the progress. In this website the users will be able to order prints and other swag. I have tried to keep it minimal and simple. The focus is only on the artwork and the content so it is very minimal but yet elegant and modern. I have introduced just a touch of fluent design principles in order to make it feel more organic. Check @posterjo for cool stuff.